Email has remained the communication channel king for decades, and email marketing is soon to be a $6.5 billion industry. While marketing through mobile devices and social channels has certainly grown in popularity in recent years, evidence suggests that consumers still prefer email. In a recent MarketingSherpa survey, 75 percent of tech-savvy social media “addicts” state that email is their channel of choice when it comes to receiving marketing messages. 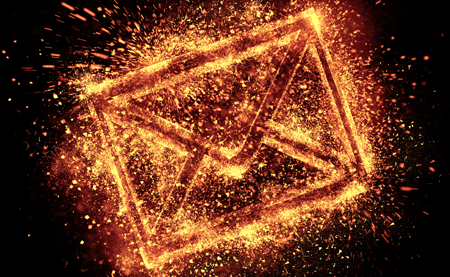 Those that have tried to declare email to be dead over the years have been proven wrong time and time again, and the technology powering marketing communications continues to evolve, but there are new evolutions that need to happen in order for email to remain a viable marketing tool. Today’s marketers need increased direct access to the freshest data available from all consumer touchpoints to be effective and timely, but this is proving difficult as the task of replicating and synching customer data becomes increasingly complex. In the early days, even before the Web was mainstream, email quickly emerged over traditional direct mail as the delivery medium of choice for businesses, due primarily to its ability to reach audiences quickly and conveniently. Early list server technology was primitive but did one thing well – sent an email to a large list of addresses in a much more cost-effective way than any other marketing channel. Much like early websites were essentially brochureware, early email marketing offered no personalization capabilities and few insights into deliverability and analytics. “Batch and blast” was born. In the mid-1990s, commercial email marketing solutions emerged to give enterprise organizations more options and features then they’d ever had. On-premise solutions were (and still typically are) heavy and complex systems that are installed in-house, giving organizations direct access to their customer database for email marketing. Email service providers began listening to the needs of their customers and provided new features, tracking and analytics, and more intuitive user interfaces. These early solutions still had limitations – systems were complex and required a great deal of I.T. involvement, and customers had little insight into delivery metrics. Perhaps no technology has been more innovative and disruptive, especially in email marketing, than Software-as-a-Service (SaaS), which began emerging in the late 1990s. The massive and ever-growing cloud ecosystem has been a godsend for businesses big and small, as feature improvements and extreme cost savings over other solutions have allowed marketers to communicate so effectively that consumer expectations have evolved as well. SaaS email service providers (ESPs) could capitalize on multi-tenant efficiencies and pass the savings back to their customers, and most began offering managed services so that businesses could focus on their marketing instead of trying to be experts in deliverability. The landscape has expanded and become more competitive, pushing ESPs to release new features, including personalization, segmentation, advanced analytics, automation, and testing tools. Cloud-based solutions allowed marketers to realize the power and high ROI of email marketing, but the technology has remained relatively stagnant over the last decade and the time has arrived for ESPs to take the next evolutionary step. As enterprises grow and become more sophisticated with marketing communications, especially through other channels, such as mobile and social, the shortcomings of SaaS solutions are becoming more apparent. Silos of information stored by cloud solutions have made it virtually impossible for marketers to have a unified view of their customers. Businesses are also realizing the limitations and security risks of replicating and synching customer data to an ESP. In a connected world where consumers expect personalized, relevant, and immediate messaging, marketers need direct access to the freshest data they have from all consumer touchpoints. SaaS providers simply aren’t able to offer this because of the underlying technology, and those serving enterprise organizations are scrambling to find ways to adapt. To address these issues, marketers are turning to a new hybrid cloud solution that allows businesses to connect directly to their customer data, no matter where it lives, and integrate with other technologies for a true omnichannel approach. The hybrid cloud model gives marketers direct access to their internal data while utilizing the cloud for message assembly and delivery. The hybrid solution takes the best aspects of the old on-premise/in-house technology and pair them with SaaS benefits, giving marketers more of what they want – the ability to communicate effectively and efficiently with their customers. Organizations with an eye on security also benefit by the hybrid model because they don’t have to copy sensitive customer data to a third-party solution. The emergence of new solutions like integrated marketing platforms and the hybrid cloud has stemmed from frustrations that marketers have faced over the years with their ESPs. Marketers need a solution where their data can be utilized more effectively and marketing campaigns can be executed more efficiently. As technology continues to evolve and become more sophisticated, enterprise ESPs will be forced to adapt in order to survive. In the end, it will be marketers that drive the next step in innovation in the email marketing space, making one-to-one, real-time messaging possible on a larger scale. Dan Roy guides MessageGears’ product strategy and corporate development. Previously, he served as CTO at Accucast, a pioneer in email marketing acquired by PGi. Accucast’s customers included Bank of America, Travelocity, and Walmart.com. Previously Dan was with Delta Air Lines where he was instrumental in building its award-winning website and e-commerce platform. Having worked with many of the world’s largest online businesses, Dan understands the importance of data to digital marketers and the challenges they face with existing email marketing solutions.